This is not an easy photo to take! I have tried multiple times lately to take a photo of pretty moss such as this, but the miniature forest of moss spores are very close together and even with my macro lens, quite hard to figure out what to focus on. I think this attempt turned out pretty nice though. Gorgeous photo! I love mosses. I think this one was a success!!! Lovely!!! I like that the focus is clear on only a small part...the rest in bokeh!!! Yes, the spores look lovely and delicate. Stunning macro, photos at this distance are a hard job. Sometimes I use combineZB to overlay several photos for a deeper sharpness. Yes, this is a wonderful picture of the moss spores!!! The moos looks like fern...I like it really much! 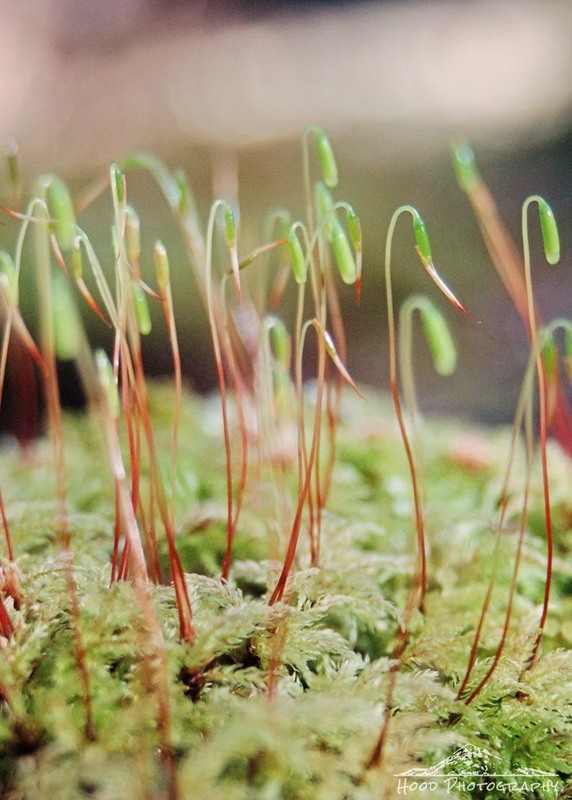 LOVE this, it is very difficult to photograph such details in the tiny world, where moss grows forests! Thanks for sharing the love up-close with I Heart Macro… sorry I'm so late visiting, I hope you will join again.